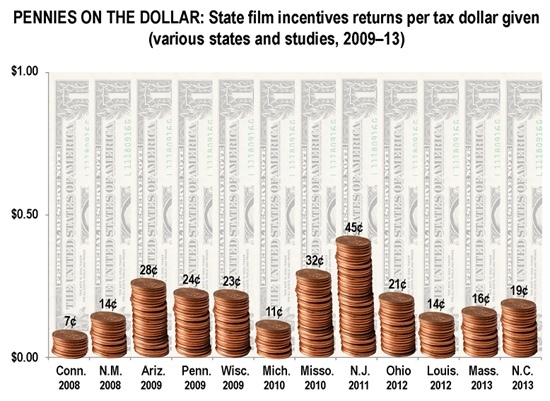 As recently as 2009, 44 U.S. states were providing incentives for film production. Only six states weren’t. Now up to 16 U.S. states are not doing film incentives. Recent research published by Prof. Michael Thom of the University of Southern California found no impact of motion picture incentive programs’ [MPIs] on their states’ economies or industries.